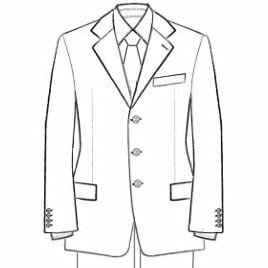 I ordered 4 custom suits from Indy Magnoli back at the beginning of 2008 for my wedding at the end of May '08 - for myself, my best man, my father-in-law & brother-in-law. Despite having to deal with a myriad of differing measurements, styling options, etc., Indy really came through & delivered a set of top-class perfectly tailored suits! He literally bent over backwards to make sure that everything was bang on the money for our Big Day. Looking back at the photo's now just confirms that it was worth every penny - Thanks again, mate - I will be ordering more stuff in the not-too-distant future, you can be sure of that . . .